In the 1980s and 1990s, business applications and data were largely confined within and protected by a Local Area Network (LAN). As a result, securing enterprise information technology consisted of building a firewall and a Virtual Private Network (VPN)--and that was all. 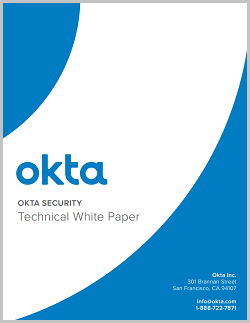 • how Okta stays secure.